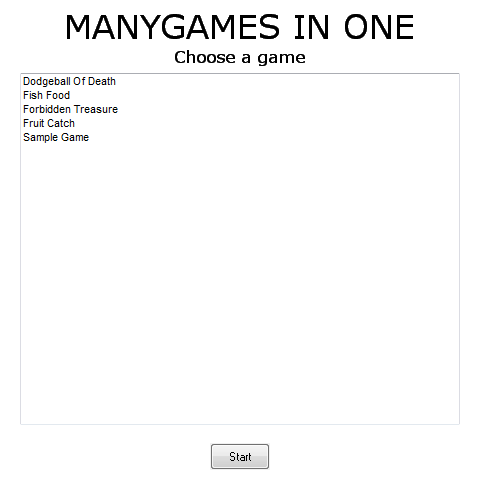 Yesterday i made some kind of game maker in order to more easily make 100 games. This RAR contains the program that runs the games and 5 sample games. Please let me know if you run into any problems while running the game. If everything goes right i will release more games for this. Those are all nice twists on the core 'dodge things' idea.